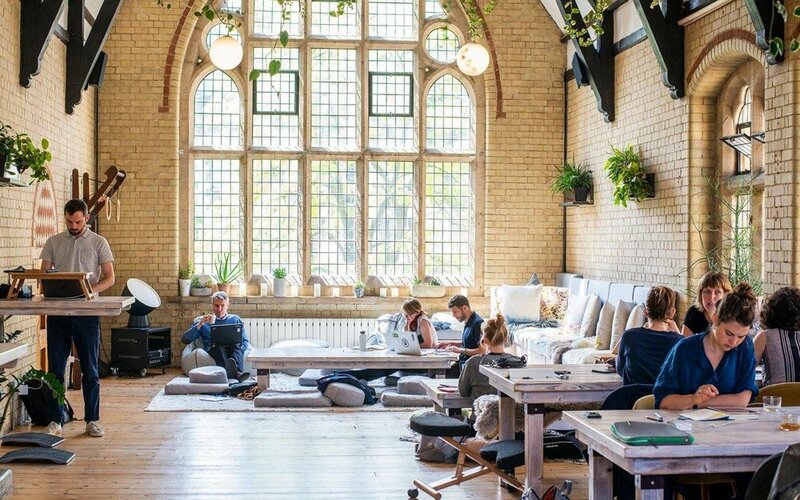 As the founders of Advaya, my sister Christabel and I are honoured to have been made ambassadors for 42 Acres, Shoreditch, an inspiring conscious coworking community and events space. “In the heart of Shoreditch, discover a coworking community that invites you to embody your true nature at work, rest and play. A space for openness, freedom and creation. An environment of natural light, plant life, and soulful connection with the changemakers of our time”. “42 is a movement to consciously create space for connection; to nature, to self and to each other. With a retreat centre in the countryside of Somerset practicing regenerative agriculture on the land, a transformational coworking and event space in Shoreditch and the call to expand internationally, the vision of the 42 Acres team is to create a world where we embody our true nature”.